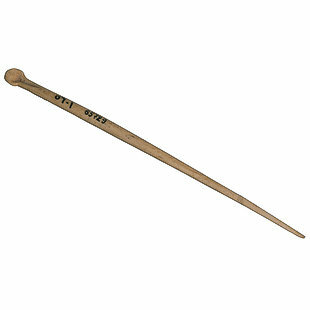 The stick made of bone was used to apply kohl, an eye paint used to enhance beauty and protect the eyes. It is a movable kohl stick, which does not have a kohl pot cap. It consists of a stick ending with a pointed end, which was dipped in the kohl pot to retrieve the kohl. The other side ends with what looks like the bowl of a spoon. This kohl stick is made through an engraving process that involves repeated scraping.